For many students at Lesley, the focus on courses in education or counseling or expressive therapies is what drew them in; or perhaps it was art and design courses that helped them feel at home when they decided to come here. But sometimes Lesley’s many unique musical offerings, and the activities that support them, can be underappreciated. One good example of that is the world of collegiate a cappella singing, a world where, in my view, Lesley excels. 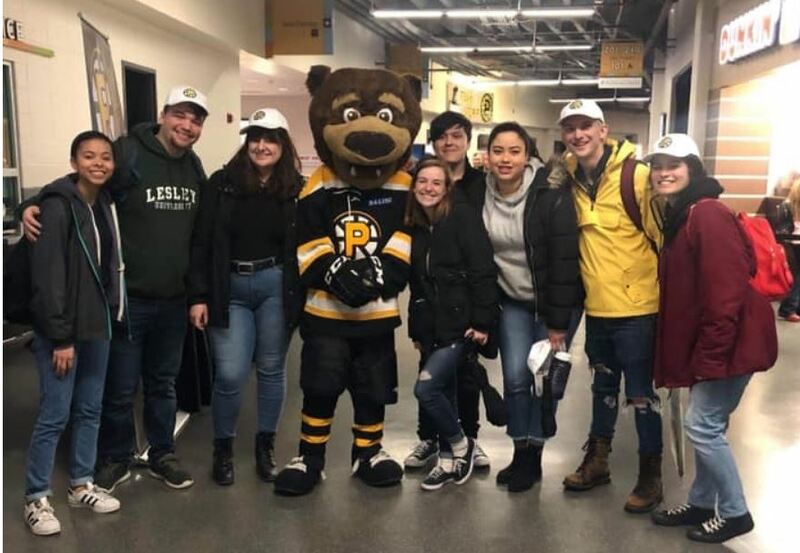 The Boston and Cambridge areas are home to some of the most successful groups in New England, and they provide an opportunity to compete in such renounced competitions like BOSS (Boston Sings) or the ICCA’s (International Championships of Collegiate A Cappella). There are also opportunities for those who actively gig with other schools. But sometimes it seems most people (and even some students on campus) don’t know about this. It’s a shame that there isn’t more attention on these activities, or the accomplishments of the students who participate. Here at Lesley University, we have two remarkable vocal groups, and sometimes it feels like they aren’t given enough of a spotlight among all the visiting artists and other activities and concerts that come to our school. One of the vocal groups on campus is Ladies First, Lesley’s premiere all female group, and they are wonderful– and extremely talented. I however, have spent the last three years at Lesley in the other group, Harmogeddon. For me, Harmogeddon, or Harmo for short, has been one of both the most fulfilling and most frustrating things I’ve experienced in college thus far. Let me explain. When I got here, as a shy transfer student with few tangible connections to Cambridge or Lesley itself, I didn’t have a clue as to how I would possibly break into the social scene and make some friends. Then, at the activities fair, I found their table, auditioned, got a callback, and it has been such a wild and amazing experience! I still don’t have the right words to explain how this happens, but there’s just something about making music together, and how much emotion music evokes naturally that just makes the people in the group such a close-knit community, even a family. We’ve sang together, performed together, forgotten words, fought, made up, truly gone through it all. And I would do it all a thousand times over. When I found out that I had an opportunity to write an article for the Lesley Public Post, I was excited, because even though for me Harmo is still a big part of my world, I’ve noticed a steady decline in the visibility afforded to us when we have concerts coming up… or even when we want to tell the rest of the Lesley community about an exciting event we’ve recently been fortunate enough to perform at! We’ve been given some incredible opportunities over the last three years, but also just within this year. We sang at a Halloween themed concert hosted by Northeastern’s all male a cappella group, the Unisons, in October, and joined our friends in Ladies First for their concert for female empowerment! We also hosted our own invitational in November with groups from Berklee (the CharlieChords), Salve Regina (Pitches with Attitude), Northeastern (Pitch, Please), Boston University (The Allegrettos), and UMass Lowell (two groups, Vocality & Hawkapella). This semester, we traveled to UNH to sing at their group Off the Clef’s spring invitational and had an amazing time! And finally, tonight, Harmo is hosting a concert in Alumni Hall on Doble Campus at 7:30! If you love music, or if you’d be interested in auditioning in the fall or learning more about us please come by and have some fun! We’d love to have you. To keep up with the antics of Harmo and to learn about upcoming gigs and shows, please follow us on Facebook at Lesley’s Harmogeddon, or on instagram at @harmogeddonofficial !